Enter number of eggs for mother's love necklaces. 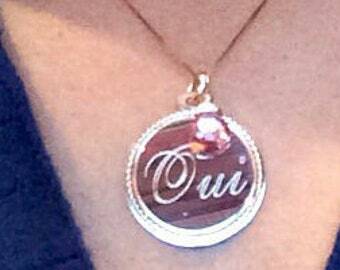 Enter initials for custom handstamped jewelry. Enter letter/s up to 3 for monogram or quote for Solid gold disc. A gorgeous piece to last a lifetime. *This listing includes a Solid Gold pendant. Chains are available in shop listings. Cast in 14K solid gold, a lustrous coin will be engraved with up to 3 letters of your choice in script font. 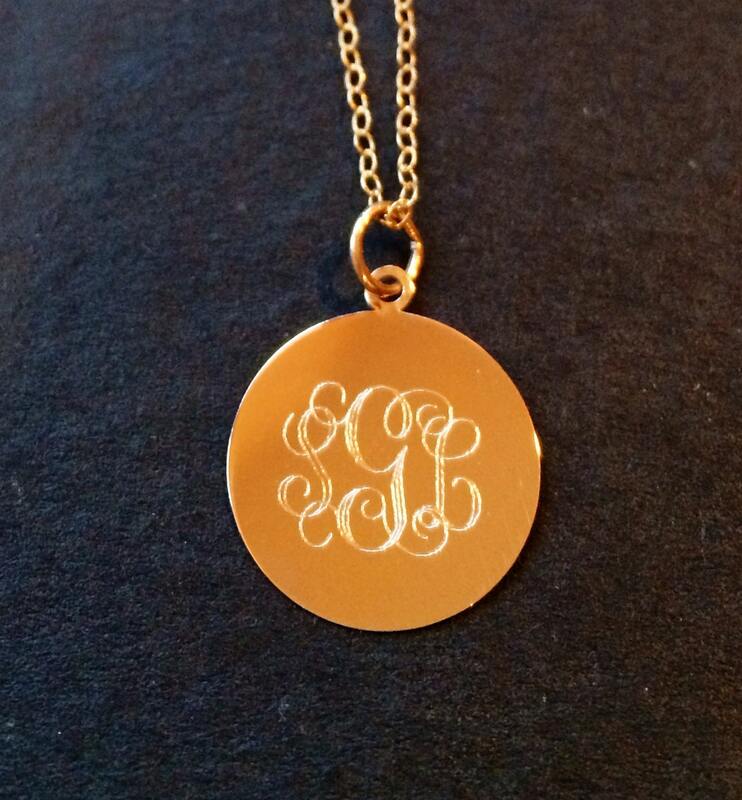 Choose your own monogram, children's initials, or letter of you and your spouse. The possibilities are endless!! Choose from Pendant size and fonts. All sizes are available in Yellow or White Gold.